ClinchPad is a modern CRM system which unlike traditional CRM software focuses on deals rather than contacts. 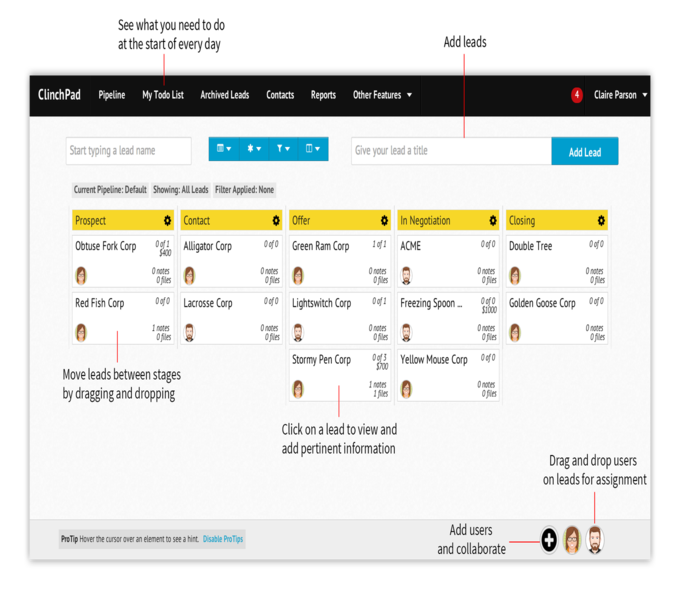 Its main focus is on managing your sales pipeline through an intuitive visual interface. It is targeted at small teams who need something simple to manage their business leads rather than large sales teams.